Enjoy some luxury, some breathing room—and congratulations! 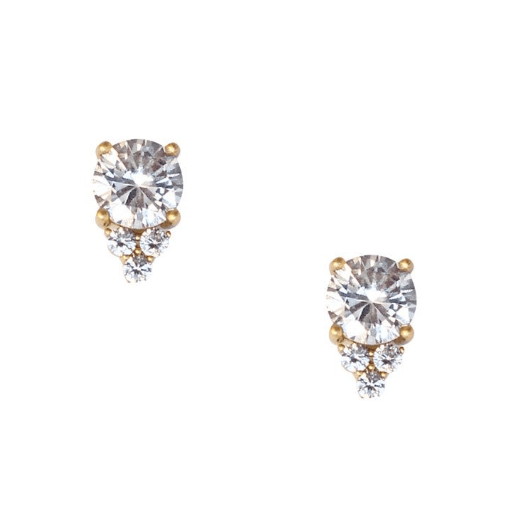 A classic combination of classic and luxe, these stud earrings from Vancouver’s Olive + Piper are accented with mini crystals for a vintage, romantic look. Perfect for every daywear or for that special sparkle on your wedding day, they are sophisticated, understated and won’t go unnoticed. Thank-you notes. Checklists. Guest books. There are so many reasons you’ll need to pull out a pen when planning for your big day. So why not use a fabulous one? 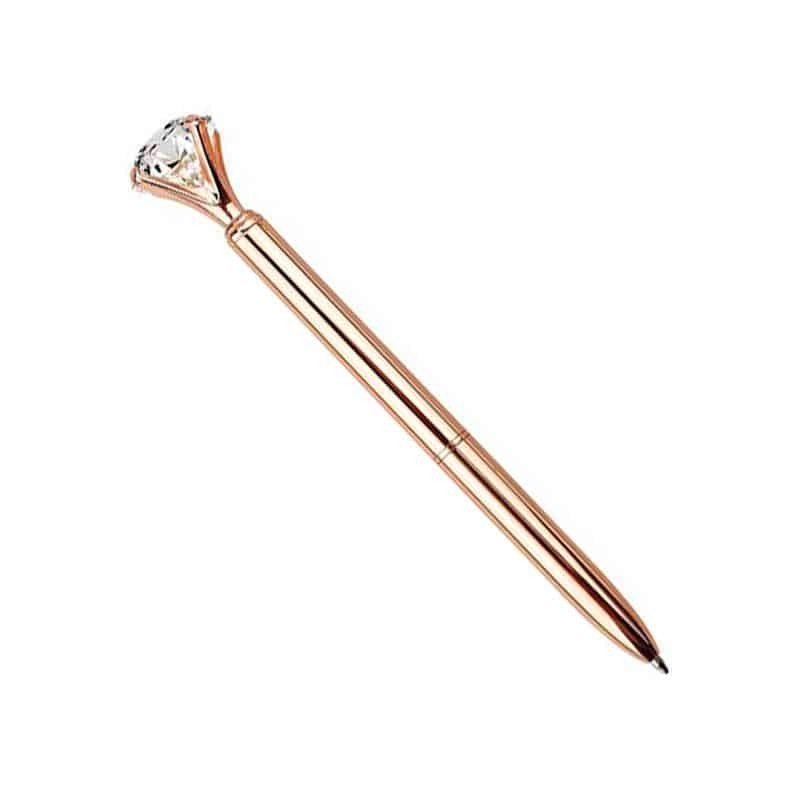 Nothing says wedding like diamonds, and this gorgeous rose gold gem pen will have you scribing in style. We love how smoothly it writes and you won’t have to worry about losing the lid with its easy twist opening. Now go cross some things off that to-do list! You want your hair to look its best leading up to the big day! Give it extra special treatment with this ultra-nourishing (and amazing smelling!) hair serum from Vancouver’s Redavid salon products. 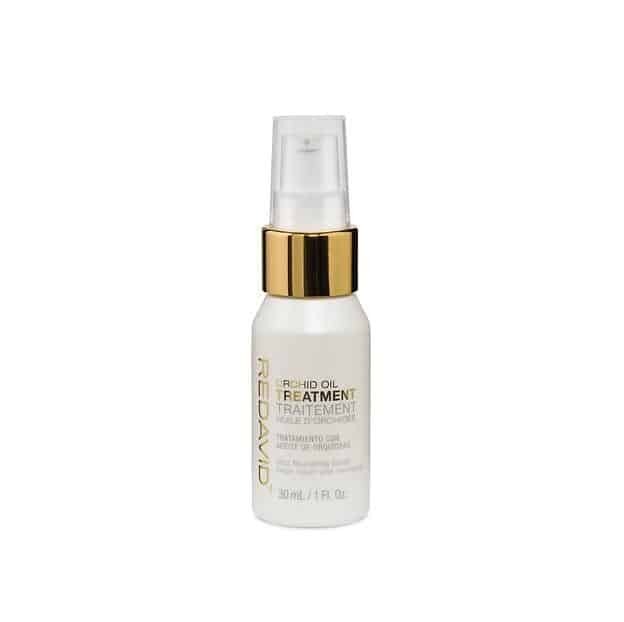 Even those with finer hair will find this lightweight formula does not weigh hair down as it smoothes and shines your tresses. All of Redavid’s products are naturally sourced, B.C.-developed and manufactured, and use only the highest-quality ingredients. Always start with the basics. 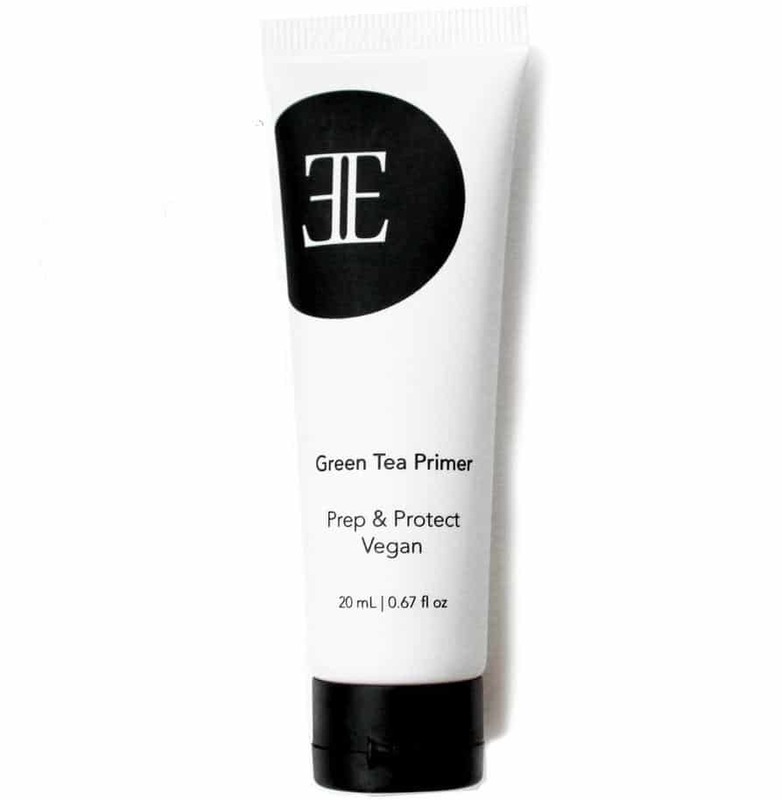 This primer preps and protects your skin with a hydrating, antioxidant-rich, skin-friendly formula made with organic green tea. Creating a smooth canvas for makeup application, it reduces the look of lines and pores so your makeup will last. Further, Evelyn Iona came to life as a company while its founder was living in a women’s shelter so thoughtful, conscious choices and precious moments are goals we can all celebrate. If the eyes are truly the windows to your soul, then great lashes ensure they’re perfectly framed. Part of the Bloom Invisible Collection, Daisy lashes feel incredibly delicate and feature an effective, transparent band. Named for the flower’s symbolic reflection of purity and cheerfulness, they add a full yet natural flair. 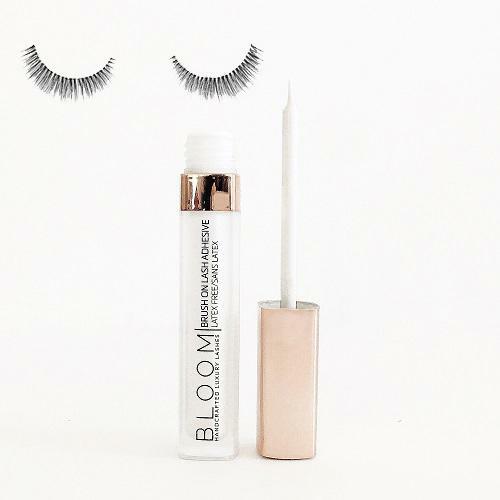 Bloom’s Brush On Lash Adhesive dries clear and is latex-free, providing a long lasting hold that is perfect for the most sensitive eyes, and the fine bristle tip wand allows for incredible control during application. Looking for party favours to treat all your special guests? Vancouver-based Candy Fix is your answer. Choose from a wide selection of candies and design your own custom label. 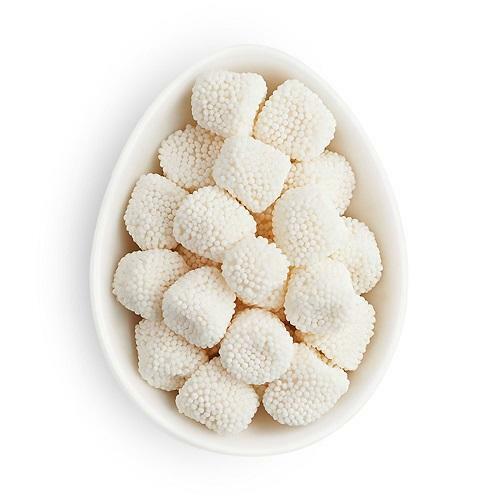 We’ve chosen to toast you with these champagne bubble treats—and yes, these ones are just for you! Take a chill pill—literally. 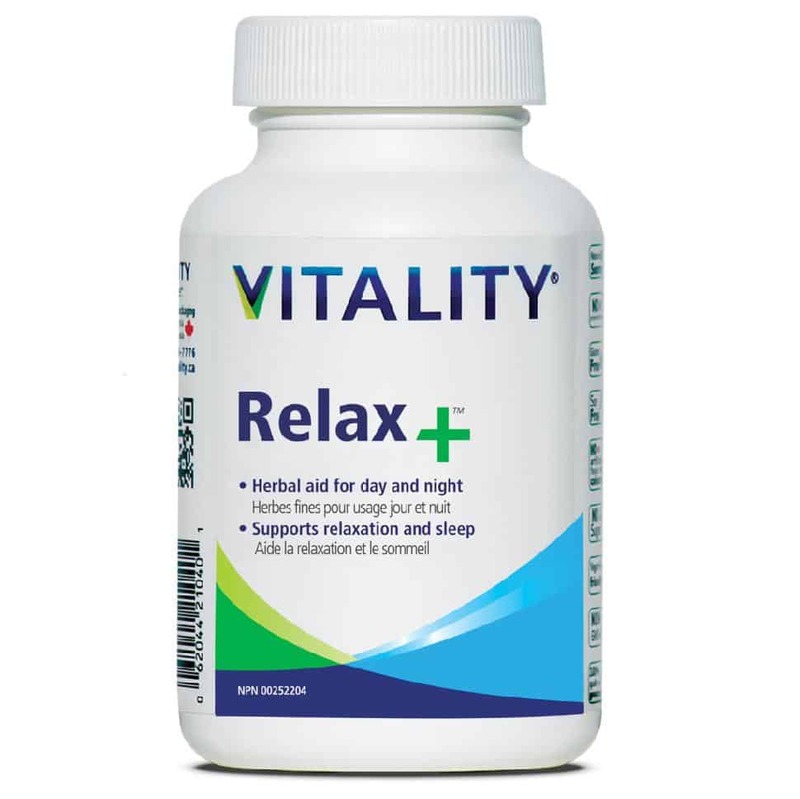 From Vancouver-based Vitality supplements, Relax+ is an effective herbal aid that provides fast relief from stress, anxiety, insomnia and interrupted sleep. It provides support when you need it and can be taken during the day or at night to gently calm your wedding-stressed mind, nerves and body. To put your mind even more at ease, Vitality’s products are made in Canada and free of animal products, gluten, soy, artificial colours and preservatives. LCN promises that each of their nail polishes are brilliant, beautiful and exclusive… and we couldn’t agree more. High-quality and fast-drying with a smooth, streak-free finish, LCN polishes are never animal tested. They’re beautiful—and ethical. 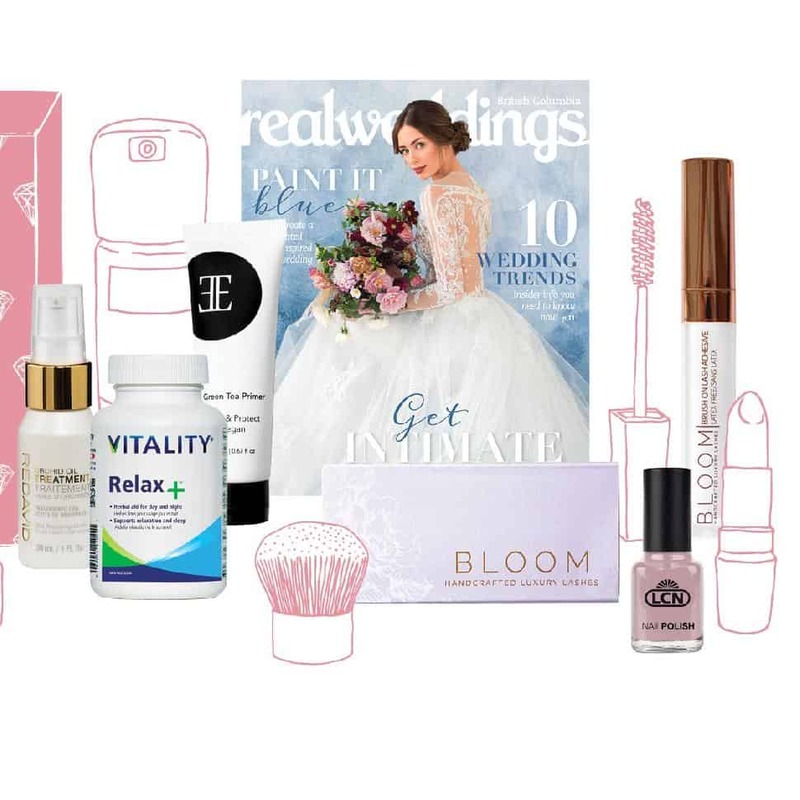 You know your fingers are going to be in a ton of snaps come wedding time, and this polish will ensure you’re not only on trend, but also on point. Looking for wedding advice, inspiration and the hottest trends? Real Weddings is your go-to source. 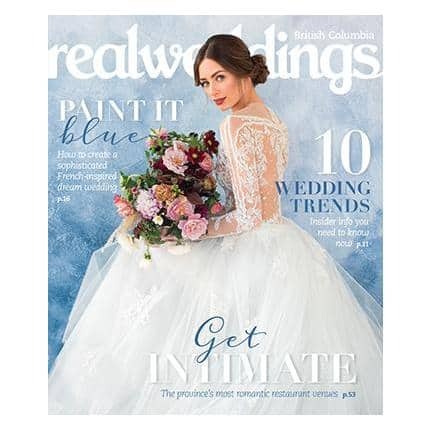 In both print and online, the magazine celebrates actual couples and showcases talented local vendors around B.C. From bespoke gowns to custom stationery, this latest issue focuses on how to personalize your event to make it uniquely yours. All for only $94 and packaged in a beautiful decorative box! That’s why we are so thrilled to share the first edition of The Missus Box, a collection of our favourite items, each providing a moment to sit, smile and celebrate. 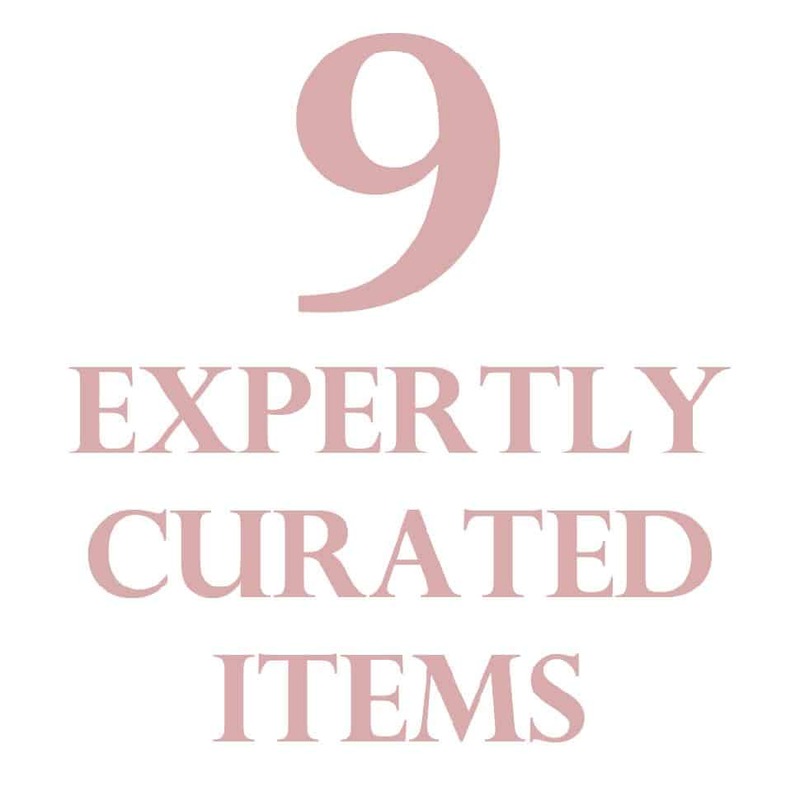 After all of the budgets and seating charts and decisions, we know you deserve some pampering—so we hope these special products inspire joy and touch your heart. At this price it would make the perfect gift for anybody, maybe even a treat for yourself. We are shipping immediately and shipping and handling is included! This is the must-have accessory for the brisk summer nights when the ceremony ends and the party begins. 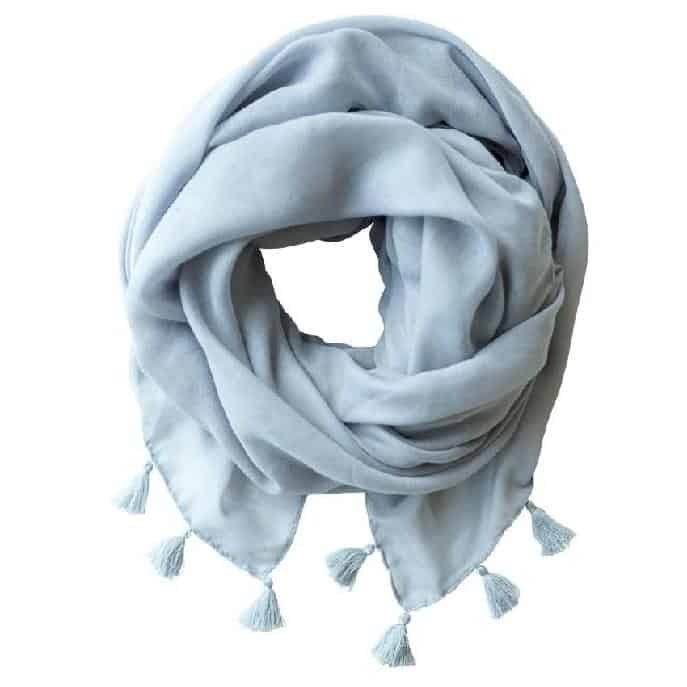 Designed in B.C., the classic style in soft, neutral grey means it will work with virtually any dress. And have we mentioned how much we love tassels this season? WAIT, there's one more thing you need to see! Great idea! Thanks for purchasing The Missus Box by Real Weddings. You’re certainly going to make a special bride-to-be very happy. In all of the wedding planning, you can often forget to treat yourself as well. Have you discovered the Simply Beautiful #editorsbox? 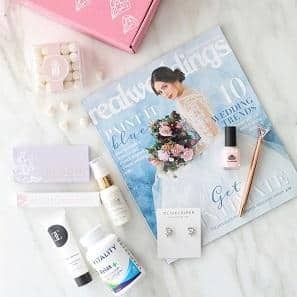 A seasonal subscription box, it delivers to your door a specially curated collection every 90 days, full of products for the body, home and soul, including the best beauty finds, must-have style pieces, trendy home decor treasures and more. Just $88 per season (plus taxes & FREE shipping) and renewed every season so you don't have to worry. Enjoyed by 1000's of Canadians, every seasonal box contains $150+ of the best Canadian products. Order now… and live your most beautiful life.